The Indiana Chapter had an outstanding meeting on Saturday, May 26. 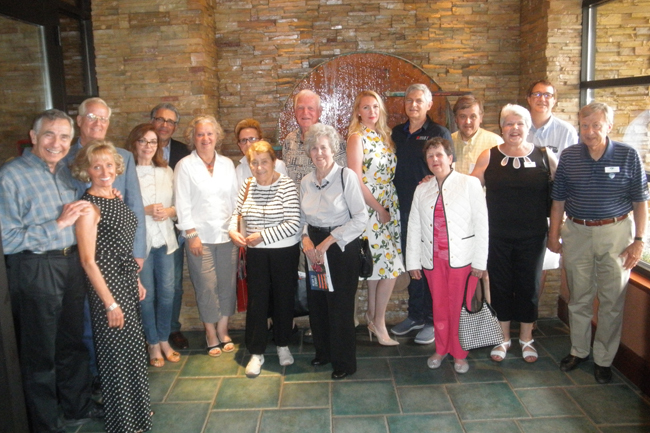 The activities began with an enjoyable reception and lunch, during which time the members exchanged travel stories and anecdotes. After a fine lunch, we heard and saw an excellent presentation by Dr. Bernard J. Strenecky and his wife, Eileen, who have sailed around the world twice on the SS Universe with Semester At Sea (SAS). Bernie is a university faculty member on board the ship and Eileen worked as staff, twice leading the Life Long Learners on the ship. They talked about their experiences with SAS.